Your kidneys are the bean-shaped, blood filtering organs in your lower back right below the bottom bone of your rib cage. As your blood is pumped through the specialized membranes of your kidneys, they remove unnecessary and toxic molecules from the blood stream to be excreted out in your urine. Some kidney disorders, like kidney stones and kidney infections, may be exacerbated by certain foods and beverages, including coffee. According to the National Kidney and Urologic Diseases Information Clearinghouse, your kidneys filter about 50 gallons of blood per day, removing nearly 1/2 gallon of water and waste from your bloodstream. Chronic and acute kidney disease is when your kidneys lose their capacity to remove these wastes and excess water, which can increase your risk of heart attack, stroke and death. In addition to their blood-filtering duties, your kidneys are important regulators of blood pressure and red blood cell production. 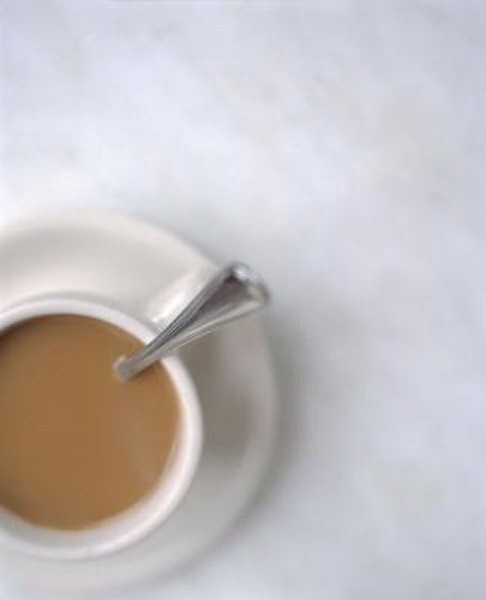 Coffee is one of the most popular brewed beverages in the U.S. and around the world. One of the primary causes of its popularity is due to its high caffeine content. According to the Center for Science in the Public Interest, an average 12 oz. cup of caffeinated brewed coffee has approximately 260 mg of caffeine. This amount compares to 40 to 120 mg for black tea and approximately 30 to 50 mg for caffeinated soft drinks. In addition to its stimulant effects, caffeine is a known diuretic. A diuretic acts upon the kidneys by increasing the removal of water from the bloodstream, resulting in increased urine output. Kidney stones form by precipitation of solid masses out of your urine. According to the NKUDIC, the most common form of kidney stone is calcium oxalate. Caffeine may act as an irritant for those who have kidney stones because of its diuretic effects and it may also contribute to their formation because of the oxalate in coffee. The NKUDIC suggests that you limit your coffee intake to one or two cups per day to limit its effects on kidney stones. Infections of the kidney typically come from bacterial infections that originate in the urethra, bladder or ureters and then spread to the kidneys. According to Medical News Today, kidney infections can be a serious medical condition that if left untreated can cause permanent damage resulting in loss of kidney function or even death. Kidney infections can be quite painful. If you have one you should drink lots of water and avoid beverages, including coffee, which may irritate the infection and reduce recovery time. Medical News Today: What Is Kidney Infection? What Causes Kidney Infection?